AT&T Merlin KSU's and Circuit Cards- 410 KSU, Merline 820 Classic, Feature Package I, Feature Package II, etc. Refurbished AT&T Business Phones, Used AT&T Business Telephones, AT&T Circuit Cards. We have hundreds of Refurbished AT&T Business Phones and AT&T Circuit Cards in our stock.. All backed by a Rock Solid One Year Warranty. Why go anywhere else. We have been in business for 18 years with an A+ rating from the Better Business Bureau for all those years. 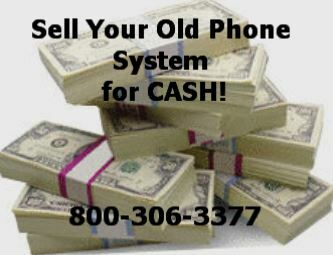 We Buy, Sell and Repair All Used AT&T Business Telephones. If you need to save money, why not REPAIR YOUR AT&T USED BUSINESS TELEPHONES instead of buying them. we offer a Full One Year Warranty on ALL Repairs. We are COMMITTED TO QUALITY & GREAT CUSTOMER SERVICE! If you are looking to upgrade your system and get something with more features or perhaps a CLOUD HOSTED SOLUTIONS, call us today to speak to one of our very knowledgable representatives regarding these systems. They have the features of a large PBX that fortune 500 companies are using today but for a fraction of the cost. Give us a call. 800-306-3377. If you are tired of your AT&T used business telephones and system, it might be time to sell your office refurbished AT&T Business Phones and equipment? Get a quote today! You came to this page for a reason. Either to Buy, Sell or Repair the equipment or circuit cards you currently have today. So, why not let Craig Communications, who has had over 18 yrs of experience with Telecom Equipment, help guide you through the process. Call us toll free: (800) 306-3377 for assistance in selecting the right Telecom Equipment for your business. Refurbished AT&T Business Phones, Used AT&T Business Telephones, AT&T Circuit Cards- You Found the Right Website for All Your AT&T Phone Equipment. Shop for Your business Used AT&T business telephones or AT&T Circuit Cards from the links above. We sell All AT&T Equipment. our operations are founded on service and commitment to customer satisfaction. 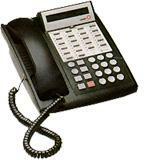 We sell quality used refurbished AT&T Business Phones and circuit cards. We stand behind every phone, system and component with a ONE YEAR WARRANTY!